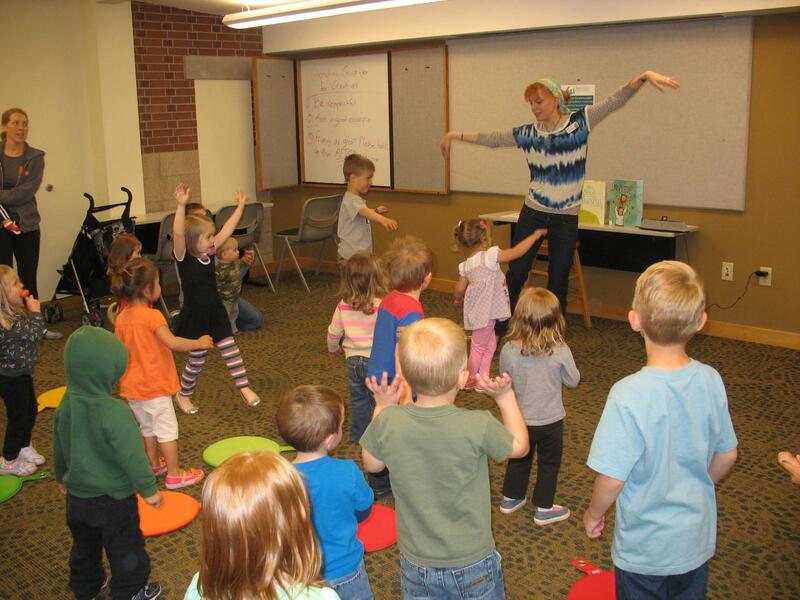 Once a week I hold two sessions of preschool storytimes (ages 3-6 and their grown-ups). This is a very energetic and movement-based storytime. We usually read three books, sings songs, chant rhymes, and bust a move on the storytime dance floor.